How long have you been a trustee with Endometriosis UK? I started volunteering in June 2014 when I became a trustee of the charity. A couple of years later I took on the role as treasurer, which was a planned succession. What were your motivations for joining the board of trustees? I started to attend the London Support group to find out more about how else I could manage my symptoms. I was overwhelmed by how many women were there and how similar their stories were to mine. I could tell from listening how vital the support groups were and how much more empowered those suffering became, by learning about the disease and the various ways to seek treatment and help, either through conventional or alternative avenues. When I read there were Board vacancies I had an instant draw to apply. I didn’t think twice. Having experienced and benefitted from the work the charity did first hand, I wanted to do something to give back which would also help those struggling with the disease. 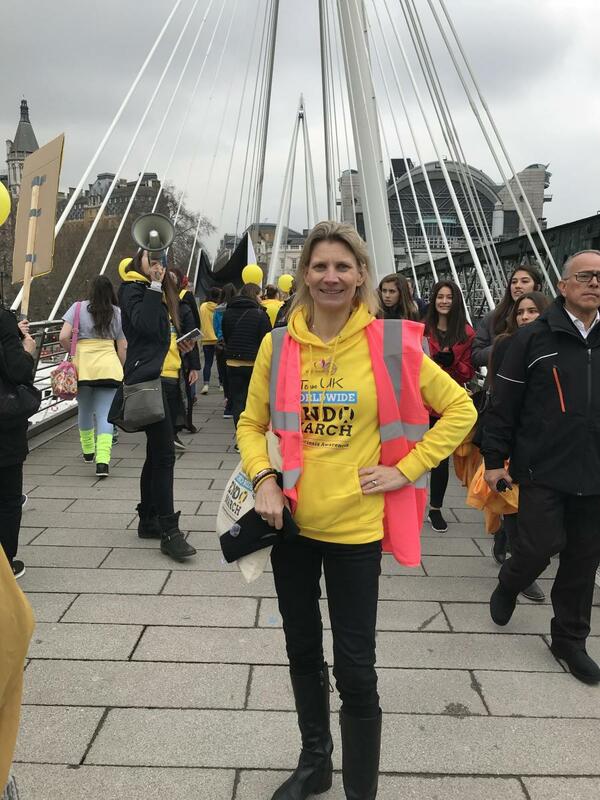 I had also met a number of volunteers at the first London EndoMarch in 2014 and they were a huge inspiration to me wanting to get involved. I then heard there was a trustee vacancy with future role as treasurer and as an accountant it seemed a perfect fit and good use of my skills. Without doubt its meeting people who have benefitted in some way from the charity and the work they do. There is still a long way to go with raising awareness, diagnosis times and treatments available, but I know the charity is working hard at helping to make change happen, and providing support to those who suffer from the disease is very much need. The biggest challenge for me is keeping a balance on doing what I do as a trustee and everything else. Since being a trustee I have also done other volunteer roles such as helping to organise two London Worldwide Endomarches and two Gala dinners, but it’s important to keep some time free for me so for now, I’m focusing on being a trustee and my role as treasurer. What guidance would you give to someone who is considering volunteering as a trustee? If you have the time and energy to offer and a skill which would strengthen the board then just try, you never know you could be just what the charity is looking for. Please tell us about something you enjoy doing in your personal time. I enjoy yoga, cycling, cooking and love to travel. Holidays with my husband Peter are what I enjoy most.